If you are anything like me, you would not mind going back to the late 1940s, walking down to the corner soda shop, and grabbing a nice strawberry phosphate. Also, being an awesome detective. 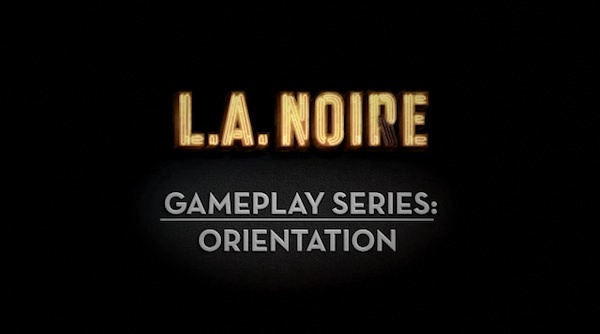 While we don’t know yet about the first thing, in Rockstar’s L.A. Noire you will definitely be able to do the second. Until today, even though we have known about its amazing facial animations for a while, we have yet to see any actual gameplay. Well feast your eyes. My frothing demand for this game increases by the day. It will be interesting to see how much the detectiving actually affects the world, and how much you being a crappy detective plays a part. If you are really horrible at finding clues, what happens? Still, I have a feeling the game will be quite great regardless, especially after Red Dead Redemption and Grand Theft Auto IV. Mark your calendars for May 17, 2011, and to prepare you should find a large mahogany desk to sit behind while watching the setting sun creep up your wall through the window blinds.